Yesterday I wrote an article for Branded3 entitled Meet the Microsoft Surface as well as my thoughts on Microsoft as a Hardware Company. Now I wanted to write a little about my thoughts on the Surface itself, and which one of the two that I have chosen to be mine! So which of these two Microsoft Surface computers fits in with this array of devices? 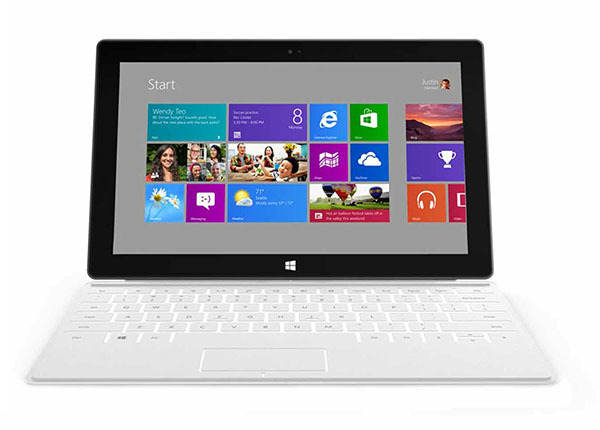 I must admit, the Intel version – Microsoft Surface for Windows 8 Pro is a much better device on paper, and also includes some features that the Windows RT version does not have – more pixels, more storage, Wacom digitizer (as well as touch) and the all important ability to run existing Windows apps. One of the core selling points of the Windows 8 Pro version is that it would actually be more of a laptop replacement than a simple tablet – which is why it is just off the mark for my use. Seeing as I want as little computers as possible, I’d like to be able to have a full keyboard and touchpad that is integrated into a more traditional laptop design – or more correctly – an Ultrabook design to replace my MacBook. What I really want from a tablet is a thin, battery friendly device for running Metro apps both at home and on the go. I think the Microsoft Surface for Windows RT would actually be the better option in that case. What is Windows RT anyway? Windows RT is very similar to Windows 8 – but it is not Windows 8. They both share a lot of heratigate, and both share a lot of new Windows features, but the biggest change is that Windows RT breaks the line from previous versions of Windows by limiting the ability to run traditional desktop applications (except for a select few Microsoft titles, like Office). For me this is fine, I want to have a Ultrabook computer for writing, desktop computing, using Vim and Visual Studio and Outlook and all that existing Windows software. By having a tablet and an Ultrabook I know all my Metro style apps are going to sync on both machines through the Cloud. I can read mail, manage my time, surf the web and consume entertainment on both machines in exactly the same way. But when I’m using the Ultrabook I also get full access to all my existing applications. The best of both worlds. For me this is exactly what I want my tablet device to do, and the main reason I’m going to choose the Windows RT version of Surface over the Windows 8 Pro tablet. There are a huge amount of different options for controlling the Xbox 360 console, and when I got mine I had a little think about what ways I’d like to use it. The Chatpad itself was marketed for enabling Messenger integration into the Xbox experience, though for me it’s mostly just for general text input, standard Xbox Live messages and searching. Personally I wouldn’t want to give it up now, and I’d recommend one to anyone with an Xbox 360. 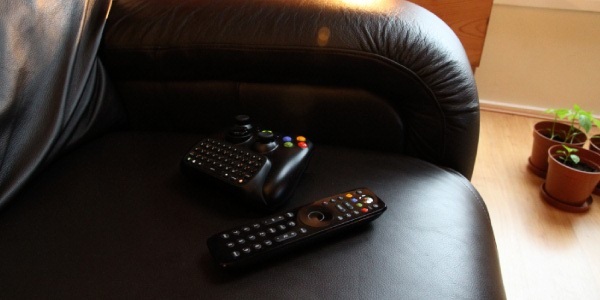 The remote includes the usual coloured YXAB face buttons, a guide button, and plenty of media controls including play/pause and fast forward/rewind as well as ones more geared towards live television, which I know is supported by Sky in the UK and many other providers in the US. An interesting addition to the Xbox is using a companion app from either Windows 8 or Windows Phone. I might write about this separately, but I would just add that I have often used this app, mostly for changing music on Zune while I’m in another room. Handy! One of the things I didn’t bother getting is the Kinect, it may be something I want in the future, but right now I just don’t think it’s that important. some of the voice stuff at E3 2012 was pretty cool, but not enough to make me change my mind. I am very interested in Xbox SmartGlass though, and as soon as I get myself a Windows RT tablet I’ll be sure to write about it.